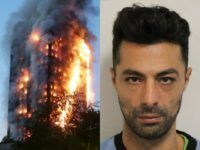 Police have slammed the “long line of Grenfell-related frauds” as another fraudster who took advantage of the tragedy is convicted of “shamelessly” taking money intended for victims. 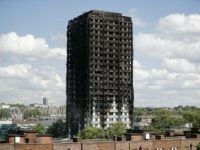 LONDON (AP) — A court has sentenced the former finance manager for the local authority that owned a London high-rise ravaged by a deadly fire to 5½ years in prison for stealing money meant for survivors of the Grenfell Tower blaze. 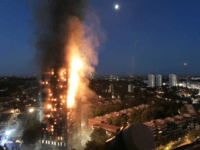 Police have charged three men with fraud and a fourth for possession of criminal property following dawn raids conducted in connection with the Grenfell Tower fire investigation. 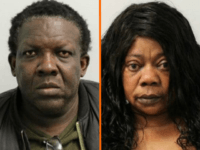 A pair of illegal immigrants lived in a luxury hotel for eight months at the taxpayers’ expense, after fraudulently claiming to be victims of the Grenfell fire, a court heard. 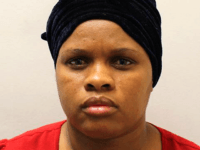 (EVENING STANDARD) — A shameless conwoman who falsely claimed her husband had died in the Grenfell Tower disaster so she could receive handouts and a free stay at the Hilton is facing years behind bars today. 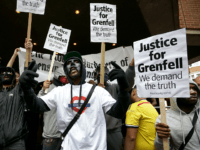 LONDON (AP) — A convicted conman has admitted charges of fraud for falsely claiming that his family died in London’s Grenfell Tower fire. 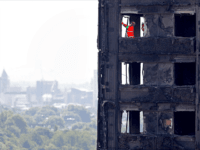 British Red Cross chief Mike Adamson has claimed the charity struggled to deal with the Grenfell disaster because staff and volunteers are too white. 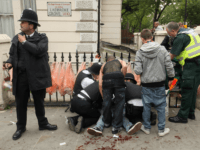 London police have warned people to prepare for acid attacks and an inflow of opportunist thugs using the Grenfell fire tragedy as a pretext for trouble at this year’s Notting Hill Carnival. 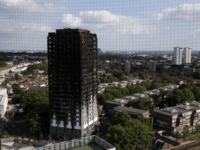 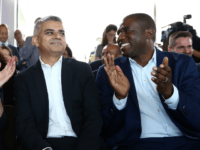 A Labour MP described as “the British Obama” has questioned Sir Martin Moore-Bick’s ability to lead the Grenfell Tower inquiry as “a white, upper middle class man”.